Most Florida homes are now worth less than the balance due on the mortgage. Many Florida homeowners today are also dealing with job loss, medical issues, marital changes or other financially challenging life situations. Current estimates are that 1 out of every 4 Florida homeowners is now behind on their mortgage payments placing tens of thousands Floridians on a path to foreclosure. We specialize in Short Sales, a powerful and effective way to sell a home “short” of the balance due on the mortgage. A Short Sale allows us to sell your home at current market value, often eliminating any remaining balance due on the mortgage. 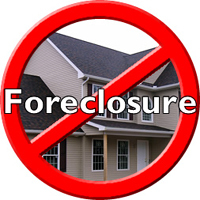 A Short Sale also stops any potential foreclosure from occurring with the sale of the property and the negative impact this foreclosure can have on your credit. We then help you identify and secure a quality rental home available for immediate occupancy. Disclaimer – Not all homes or individual situations can be approved by your lender for short sales and there is no guarantee that if approved by your lender that your home will sell in a short sale transaction. Furthermore, selling your home in a short sale transaction may have tax and/or legal implications for you as the seller – Therefore we advise you to seek appropriate legal and financial advise before proceeding with a short sale of your property.